Clickable IMG Publisher: Tracks Publishing,U.S. (22 Jun. 2006)Language: EnglishISBN-10: 1884654231ISBN-13: 978-1884654237Taking place at real street locations, this photographic collection provides readers with the information necessary to take skateboarding abilities to a higher level of performance. 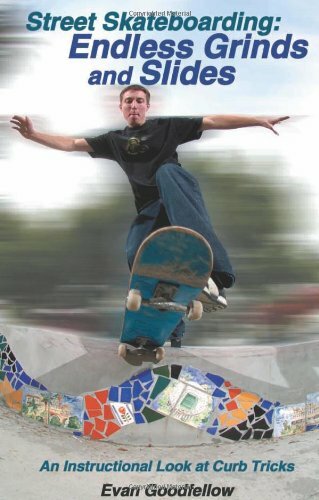 Progression of style and technique in skateboarding has led to the cutting-edge use of real-world terrain such as curbs, stairs, and handrails.Beginning with instruction on how to properly negotiate curbs and escalating to the endless ways a skateboarder can maneuver up, over, and down the cement and asphalt that make up the urban and suburban landscapes, these step-by-step photographs will help skateboarders master the streets of the world.